In a random process, later events seem to be loosely attached to earlier ones; in other words, a substantial or tight relationship between the two is missing. This relationship is sometimes held to be the relation of cause and effect, so that random events are not caused by what preceded them. Richard Johns, however, adopts the original stance that random events are fully caused and lack only determination by their causes; according to his causal theory of chance, the physical chance of an event is the degree to which the event is determined by its causes. A Theory of Physical Probability addresses an important and, until now, poorly comprehended topic: chance, or physical probability. 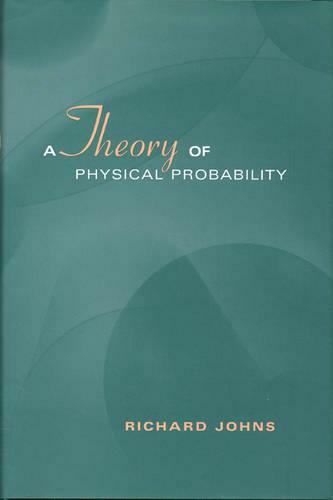 It puts forth Johns's theory of physical chance and demonstrates the implications of this theory in various areas of physics. Johns's is a novel approach to a fundamental topic in such disciplines as philosophy, philosophy of science, and physics, and it will be widely admired by scholars for its clarity and accessibility.